Comfort and peace of mind. While home, at the office, or just away for the weekend, know that you have complete control of your entire office from anywhere. See if the temperature is too hot or too cold. Going home? 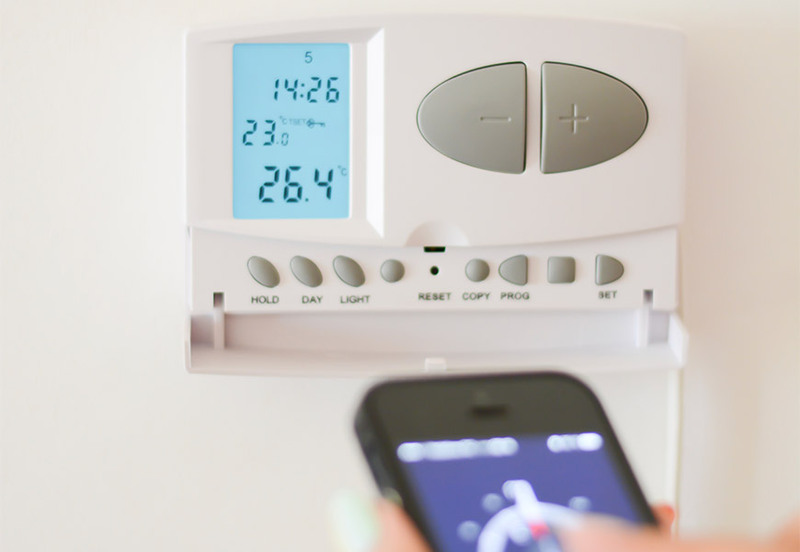 Set the temperature while you are away to conserve energy. Left the office and forgot to adjust the temperature? Do it from your phone. Whether coming or going, arriving late or early, you are in control. Have a vacation home? Control the systems while you are away and know that there is no need to stress the small things - we have them covered. Before you arrive, turn the furnace up so the house is nice and KOZI when you arrive. This does not only pertain to your HVAC, but to the shades, fireplace, pool, outdoor heaters and anything we can trigger. The press of a button can do it all in one touch, or individually. You're in control. To learn more, call Kozi Media Design at 1-877-746-5694 or send us an e-mail.